For the next two months, crews will work to strengthen and repave the right shoulder on eastbound I-66 between the Dulles Connector Road and Fairfax Drive near Ballston. The work is scheduled to close lanes between 9:30 p.m. and 5 a.m. each night. 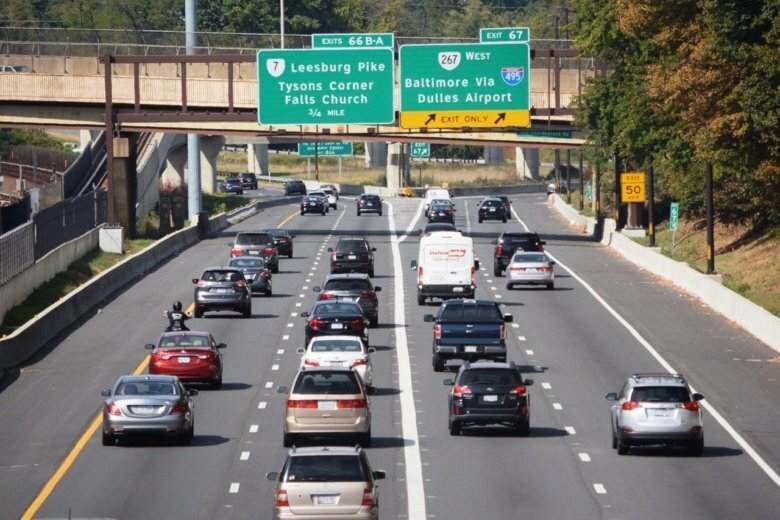 WASHINGTON — Work to ease a chokepoint that helps drive up toll prices on Interstate 66 inside the Capital Beltway begins in earnest this week. HOV and toll rules begin at 5:30 a.m. weekdays. When the shoulder paving is finished, traffic will shift to the right so that the actual widening work on the four-mile stretch can begin in the median. The additional lane between the Dulles Connector Road and Ballston is expected to ease the merge there and smooth out traffic that regularly backs up at many times of day. Those frequent traffic jams are a significant driver of the morning toll prices for solo drivers using the highway. The widening is expected to be complete in late 2020. All other aspects of the project — including new sound barriers, new direct access from eastbound I-66 to the West Falls Church Metro and a new bridge over Route 29 for the Washington & Old Dominion Trail — are due to be completed by late 2021. By the end of 2022, separate new toll lanes are scheduled to open on Interstate 66 between Gainesville and the Beltway. When finished, that stretch will have two HOV or toll lanes where those rules apply 24/7/365 next to three regular lanes and a permanent shoulder.